These days most people have figured out how to install a VPN on their phones and computers to bypass restricted streaming content on websites like Netflix, Hulu, Youtube, and Amazon Prime Video. But watching your favorite shows and movies through a small phone or computer screen can ruin the experience. If you love using your Apple TV to cast your programs onto a bigger, more immersive screen, then we have good news for you. As there are some VPNs available that are compatible with Apple TV, allowing you to gain access to any blocked content and enjoy your shows in style. These VPNs also come in handy if you find yourself travelling for long periods of time and are wanting to take your Apple TV with you, as you won’t have to miss out on your regular shows from home. Using a VPN in conjunction with your Apple TV is fairly simple, so by following these steps you’ll be gaining access to unrestricted content on your TV in no time. Ask your VPN provider for their DNS server IP address. Some VPNs will even have a server address list you can consult, otherwise you can just send a message to their customer support team. On your Apple TV, go to Settings. Select General, go to Language and Region, and then click on Apple TV Language. In Apple TV Language, change the iTunes Store Location to the same location as your VPN. Go back to Settings and select Network. Go to WiFi and select your connection. Select Configure DNS and change from automatic to manual. Input your VPN’s DNS server IP and select Done. Not only is ExpressVPN, the fastest service on the market, but it also has some incredible security features. With ExpressVPN you’ll be keeping yourself safe with their advanced protocols such as 256-bit AES encryption, DNS/IP leak protection, an automatic kill switch, and strict no logs policy. Express VPN allows you to connect 3 devices simultaneously as well, so you can hook up all of your devices and stay protected on all fronts. 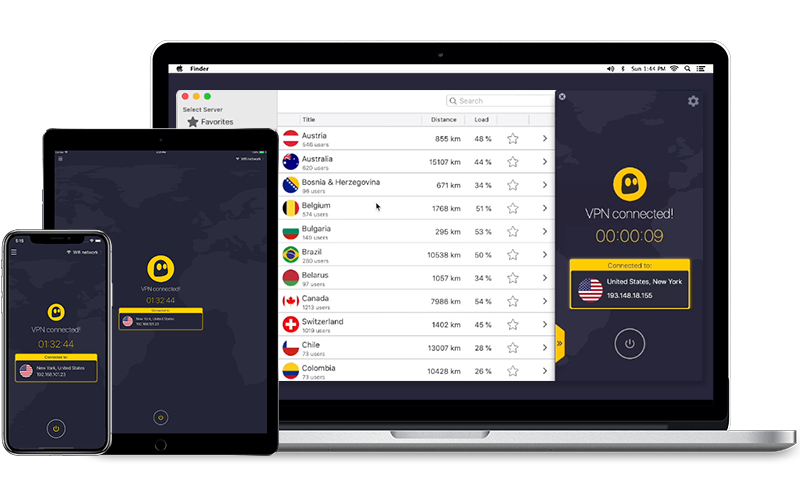 This VPN also has applications designed for almost any platform including Apple TV, Mac, and iOS. In fact, ExpressVPN is actually one of the only providers out there that has success unblocking every single version of Netflix which is a huge bonus if you’re chasing anything other than the UK and US websites. This VPN is top of the line and its price reflects that making it substantially more expensive than the other options. However, you can give their service a full test run with the 30-day money-back guarantee that they offer. 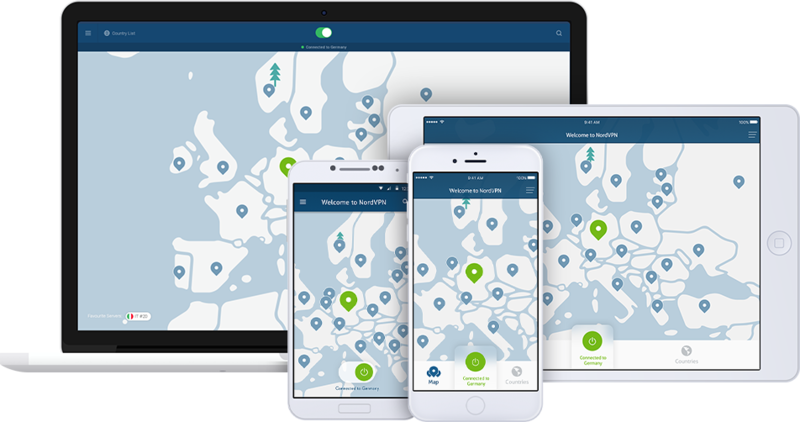 NordVPN has multiple layers of military grade encryption which will ensure your IP address stays hidden. It also allows you to protect six devices simultaneously and connect on practically any platform as they have applications available for Mac, Windows, iOS, Android, and Linux. This VPN also has competitive download speeds, so you won’t need to fret about buffering or loading screens while you’re trying to watch your shows. NordVPN has the ability to bypass most geo-blocks as well, allowing you to access Netflix, Hulu, Amazon Prime Video, and more while using their service. 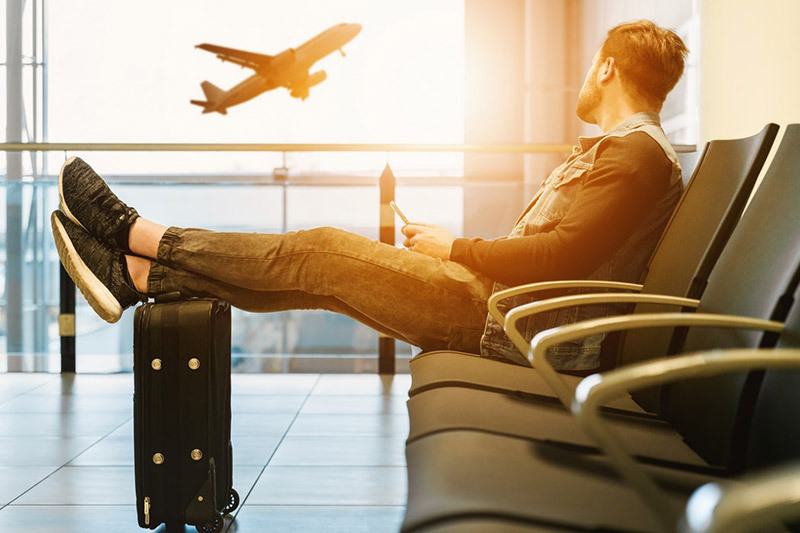 If you’re travelling, NordVPN will give you the same internet freedom that you have at home, which can relieve your stress while on the road. If you’re still unsure about their service, NordVPN do offer users a 30-day money-back guarantee, meaning you can test them out before committing. CyberGhost VPN is a great alternative if you’re looking for a slightly more affordable VPN that can keep up with the market leaders. They are one the safest VPNs in the industry with an automatic kill switch, zero logs policy, 256-bit AES encryption protocols, and OpenVPN, L2TP-IPsec and PPTP protocols. With CyberGhost you can protect up to seven devices simultaneously and their unlimited bandwidth and traffic means you’ll never have to deal with annoying loading screens or buffering while using their service. They are one of the only VPNs to have the capability of bypassing Netflix’s strict geo-blocks and they have a 24/7 customer support team available if you happen to run into any issues. CyberGhost has a 45-day money-back guarantee for users, so we recommend taking full advantage of this service and giving it a good trial run before committing to the purchase. SurfShark VPN is the new hot shot on the market who has been smashing the current competition. Their fast speeds, great security features, and dedication to a free internet make for a true triple threat. In fact, their NoBoarders mode was designed to allow you access to the whole internet no matter where in the world you are. They are able to sneak past the complex firewalls of streaming sites such as Netflix, gaining to access to some of the most extensive content libraries in the world. They also allow users to connect with an unlimited number of devices at the same time, so everyone in the family can stay safe and entertained. 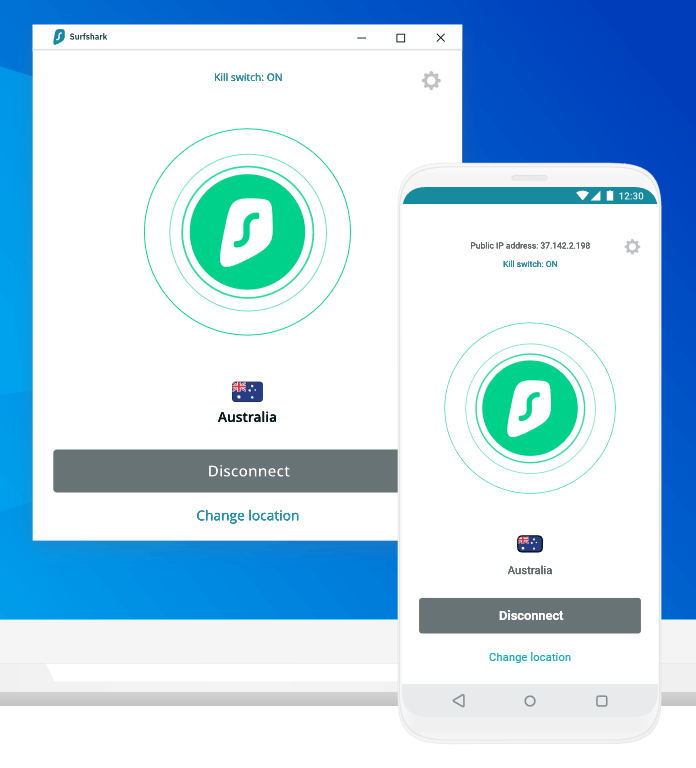 Like the other service, SurfShark has a 30-day money-back guarantee that they provide users, which means you won’t lose anything by just trying them out. It will also give you time to explore their other unique features such as MultiHop mode, Camouflage mode, and Whitelister. 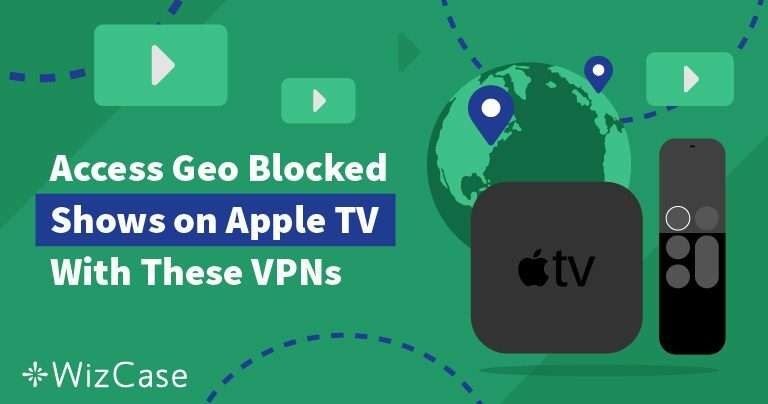 Usually a VPN’s main purpose is to protect the privacy and security of its users, however when it comes to the Apple TV and other similar streaming devices, VPNs are more commonly downloaded for their ability to bypass robust geo-blocks and provide you with an extended content library. 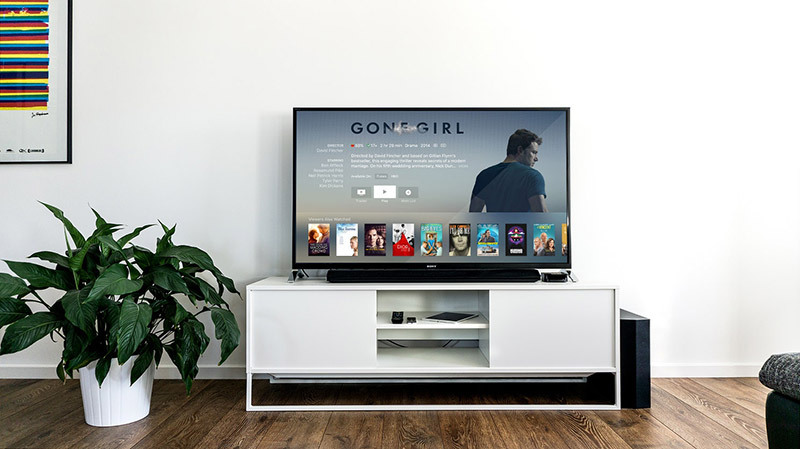 These days people are extremely interested in gaining access to popular sites such as the UK and US Netflix, as they are known to have the biggest collection of TV shows and movies and are often the first to air new releases. By using a VPN, you can spoof the location of your devices which gives you unrestricted access to almost any internet content in the world. By geo-spoofing your Apple TV in particular, you’ll be able to change your location to America and scan over 60 content providers which is massive compared to other overseas companies like Australia that are only able to scan 10. A VPN will help you access all your favorite shows but, not all services have the same capabilities. For the best service to use with Apple TV, there are some vital features you’ll require. If you want to watch your Netflix shows or stream movies without putting up with buffering or loading screens, you’re going to need a service that provides you with the highest speeds possible. Some VPNs out there cap the bandwidth users have and depending on the limit they impose, can mean that you’ll run out of bandwidth before the end of the binge worthy TV series you’re watching. This is a big one these days, because what good is a VPN that can’t give you unrestricted access to the internet. You’re going to want a service that can keep up with the ever changing geo-blocks put up by popular sites like Netflix. This goes without saying, but you’re going to need a VPN that’s compatible with Apple products and devices or it isn’t going to work on your Apple TV. Bonus points if you can find a service with dedicated applications for Mac and iOS. Additionally, make sure you opt for a service that comes with multiple layers of encryption and security to keep your personal information and online activities obscured from prying. VPNs are more commonly used with computers, smartphones, and tablets, so there is bound to be some confusion when it comes to using them with an Apple TV. This list below should answer all the questions you could have when it comes to using a VPN with Apple TV. 1 Can You Use A Free VPN For Apple TV? There are free VPNs available on the market that are compatible with Apple TV, so technically yes you can use one. However, we’d highly recommend avoiding them and opting for a more premium service instead as there have been several controversies surrounding the use of free VPNs as of late. Firstly, most free VPNs don’t have the same high-speed capabilities and data allowance as the good quality services and can be unreliable and inconsistent when streaming content. There’s nothing more frustrating than wrestling with a slow and stubborn VPN while you’re trying to enjoy your favorite show. Free VPNs often don’t have the resources or manpower to keep up with the strict firewalls put in place by major streaming services like Netflix meaning they can’t even bypass geo-restrictions and give you access to blocked content. If that’s not enough to dissuade you, they also lack sufficient security protocols, leading to leaks of your personal information and even malicious cyber attacks. In recent years, some free VPNs have even been caught out selling users’ personal information on to third-party advertisers, which completely contradicts the purpose of their service. 2 Why Do You Need A High-Speed VPN For Apple TV? If you want to watch your favorite shows and movies in high definition, then installing a VPN with guaranteed high speeds is imperative. VPNs already slow your internet down when you connect to their service as they are encrypting your data and sending all traffic through a proxy server in order to keep you protected. A good quality VPN will make it their mission to always provide you with lightning fast speeds so you won’t notice the difference. They also ensure that you’re not waiting for content to buffer and will automatically connect you to the fastest server in the country of your choosing. When you’re streaming Netflix through your Apple TV, the last thing you want is a blurry picture or long loading times, by using a premium VPN service with a larger number of servers and fast speeds you’ll be able to watch your shows without any annoying interruptions. 3 Is It Legal To Use A VPN For Apple TV? The legality of using a VPN all depends on your region and the laws that they have regarding the use of such services. Most countries don’t have any specific laws banning the use of VPNs but they will prosecute if you’re using your VPN to illegally torrent, stream, or download copyrighted content. The biggest block for VPNs often comes from streaming platforms and websites themselves, as they would be putting their companies in jeopardy by breaking copyright laws if they knowingly allowed users to bypass their geo-blocks by using a VPN. Sites like Netflix have developed some amazingly complex systems that do catch out the majority of VPN users and have threatened to suspend accounts, however there have been no actual cases of this happening. While VPNs are legal in most places, there are some countries that only allow for the use of specified services or have banned VPN providers altogether. These countries include, but aren’t limited to, China, North Korea, Russia, Turkey, Iraq, and Belarus. Make sure you check the laws for your region to clarify if using a VPN in your country is illegal before downloading one. Using your Apple TV with a VPN, opens you up to a whole world of new content. If you don’t jump on the bandwagon, you’ll be missing out. It is important that you do your research on which VPNs are suitable to use with an Apple TV, any of our suggestions above will work brilliantly, but don’t take our word for it. Each of our suggested VPNs have a money-back guarantee offer and we highly recommend taking full advantage of it. Whatever VPN you decide to go with, we hope you enjoy your newfound access to content from all over the world!